The first installment -- Jurassic Park -- was more than 22 years ago. Now, Steven Spielberg returns as executive producer of Jurassic World. The first thought that popped into my mind was, "Wow, I'm super ready for another dinosaur movie!" And the second thought that came to me was, "What? How many people have to get eaten by dinosaurs before they stop trying to make a theme park happen!" The basic story line: Isla Nublar is back in business as the location for Jurassic World, a dinosaur theme park that's sort of like SeaWorld and Disney -- plus a side of sweet herbivore dinosaurs and scary carnivore dinosaurs. Apparently, the park decides that it needs something bigger and badder, so it genetically engineers a hybrid dino that's more terrifying than a T-Rex. Of course, something goes wrong and all hell breaks loose. 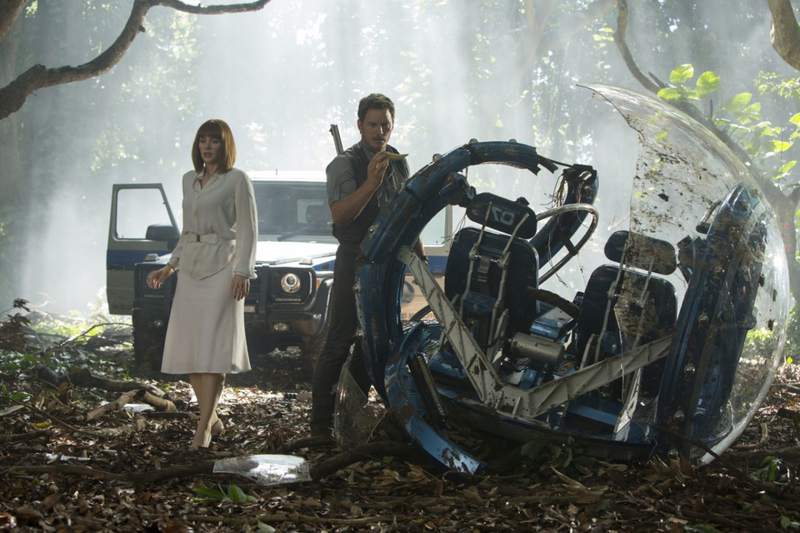 And it's up to Bryce Dallas Howard (who manages the park) and Chris Pratt (who trains the velociraptors) to save the day. Jurassic World is a very stereotypical action movie. There is a female character that is a bit of a "cold, out of touch" type; there is a geeky guy (who isn't actually very geeky at all) who is there for comic relief; there is a guy who, despite already being a part of a theme park that genetically engineers dinosaurs and makes billions of dollars, still wants more for himself; and then there's a guy who thinks what the park is doing is wrong, but it's OK because he's good with a gun. Any of this sound like any movie you've seen before? I mean...give me a break. I should probably state that I did enjoy the movie, for the most part, but I'm just so over stereotypical behavior. There's a scene where Howard's character Claire shoots a pterodactyl to save Pratt's character, Owen. Her nephews see this and are wowed. Then in the next scene, the boys say they don't want to get separated. And Claire is all like, "Don't worry. I'll never let you out of my sight." And the boys are all like, "Oh, we were talking to Owen." WTF? You just saw your aunt save this man's life and you're throwing shade? 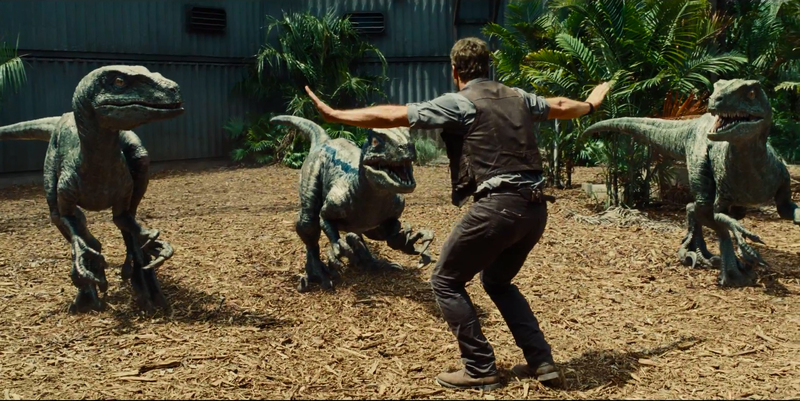 I will say that I did like the bond that Pratt's character shared with the young velociraptors. They were certainly the highlight of the film for me. All the action was great, as it should be, and Pratt is definitely making his way into the world of action star. But for the sequel -- because there will obviously be a sequel -- let's try to be less predictable and more empowering. And what I mean by that is, don't have your female lead running in a tank top and heels!